women | RAW GODDESS, INC.
Posted on April 15, 2018 by RawGoddessInc. This is the first New Moon since our beloved Spring Equinox celebrations! That Mercury Retrograde had us in a very introspective mood as the constellation of Pisces is still lingering. This is the new moon of spiritual renewal and rebirth. We are truly in the secret cusp between constellation Pisces and Aries sidereally speaking. If you’ve been following my work, you should know that the Sky tells a much more different story than man-made western astrology does. This retrograde was mainly about keeping an unseen faith, psychic abilities, goddess worship and the mysteries of the universe as a whole. Pisces is one of the largest constellations and her mystical message is being echoed throughout our collective consciousness right now! We will still be in the Pisces shadow of Mercury Retrograde for another few weeks so stay on your toes and be aware of any after effects. I’ve seen the shadow bring a whole other side of the retrograde just when you thought it was over. During a Pisces New Moon cycle fasting, detoxing, and just plain old drinking more water should be explored as a very effective practice to master. Praying with our ancestors, doing libations and spiritual baths are also important to the Pisces realm of things. Strengthen your connection to a higher power and your crown chakra with yoga and meditation, especially thru the shadow zone of this Mercury Retrograde. Talk to your relatives that are protecting you from the other side and ask them for guidance if you are not sure what to do about something. Anything. The Pisces moon cycle is also a great time to do a deep meditation and explore our different past lives. I do readings, consultations, and classes on Past Life Astrology emotional clearing! Feel free to join my Raw Goddess 13 signs Astrology group on Facebook. I post exclusive info about the secrets of Astrology which includes the Snake (Ophiuchus) and it’s Wisdom. Pisces is the spiritual abyss to the underworld. The primordial waters. The cycle of life, death, and rebirth continues for all beings and creatures of the universe. The Mother of all Mothers. The void. To access the powers of this New Moon and the next 2 weeks, you must have Faith. Things may be a lil chaotic. Pisces is a mutable water sign. The most changeable of all the signs. Pisces means two fish and two modes of movement. The Feet. One negative and one positive, creating the natural flow of life. Pisces people are extremely sensitive, so this is a great time to stay extra aware using your intuition. Posted on January 30, 2018 by RawGoddessInc. *Happy Super Full Moon Lunar Eclipse! Hi everyone! If you’ve been following my 13 sign astrology info, then you know this Full Moon is in the constellation of Cancer, not Leo. Check your google sky map apps! Verify the accuracy of sidereal and 13 sign astrology for yourselves. This is a very important distinction right here, to be on actual star placements. The difference between Cancer and Leo is massive! Like Night & Day. Cancer is the sign of Moon incubation and Leo is the Sun, manifestation. Before you can manifest anything, it has to be felt in the unseen world first. Cancers symbol in ancient Egyptian astrology is the scarab beetle. 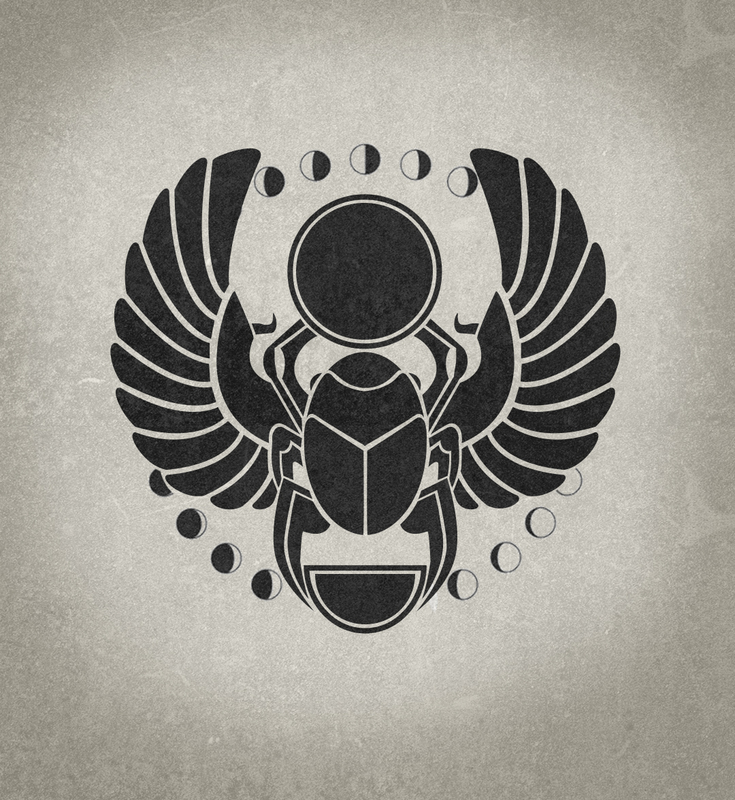 The scarab is a very mystical symbol filled with messages of the eternal and internal world. It digs and buries itself just to be reborn again, much like our beloved Moon. This process of gestation and growth belong to Cancer. This mysterious and changeable sign represents mother ocean and all its varied existence. Everything is born from the ocean. Cancer is a cardinal sign and highlights feelings in motion. Emotion. The ebb and flow of life. Cancer is all about the family. The deep connections. Ancestral, karmic, and cosmic, they are all Cancers domain. Everything goes back to the ocean, the womb of all Life. The Super Full Moon Lunar Eclipse in Cancer is here to remind us to nurture our roots. Water our seeds (ideas) and make our deepest aspirations grow. This is THE full moon of all full moons because Cancer is naturally moon energy! Intuition and sensitivities are heightened. Internalization, processing and deep acknowledgement are all very necessary at this time. We’re having such a strong super feminine full moon cycle! This will lead the way into a phase of deep creative introspection! Like Leo, Cancer is totally creative! Those intricate emotions need an outlet or we could become prone to worry during this transit! It’s a time for poetry, praying, singing, dancing and emotional expansiveness. All of this spells out fulfilling family bonds and making deeper connections from within. For this Super Full Moon Lunar Eclipse delve into some astral travel studies and sacred knowledge. The Akashic records are also emphasized for this Super Full Moon Lunar Eclipse in Cancer. There is a deeply internalized metamorphosis happening right now! Cancer represents the cosmic mother, so make sure to nurture yourself, your family and closest friends. Remember your past paths and expand on them for the future. I’m feeling an extreme level of de ja vu for this Full Moon in Cancer phase. Like I knew this day would come. This energy will last for 2 weeks till the next New moon. But the effect of Lunar Eclipses can last much longer and signal major Life transformations. So get ready for many changes to intensify this month and the next! I am available for 1 on 1 astrology lessons, readings or classes, and will be glad to help! For the Cancer Super Full Moon, make sure you drink your WATER! Really. This full moon cycle is also here to remind us that Life will flow smoothly if we stay hydrated. Yep, and it’s time to do that fast if you’ve been putting it off. I get through Winter months by doing a few different cleanses, so it’s not so strong of a purge in the Spring. Aloe Vera and melons, especially cucumber, are fruits governed by the Moon. Eat em up! They can be your best friend during sensitive and emotional times like these. I swear by herbal teas too. Peppermint, hibiscus, ginger, lemon, chamomile, etc. Drink it up! Coconut water mixed with fresh juices has been my latest cleansing obsession. Most of the time when we’re feeling down we are actually dehydrated. And to all the highly emotional people out there, bath rituals are essential. Use sea salt, essential oils, stones, apple cider vinegar, candles, prayers, milks, and honey to soothe your soul. Mother takes care of All. Never forget that you are loved and free to embrace the essence of the Goddess that surrounds you. Float on! *Thanks to all the people who read, share, and support my work! Happy Super Full Moon Lunar Eclipse! This super full moon doorway will be open for 2 weeks, till the new moon. But the effects of an Eclipse lasts for at least 6 months!! If you would like to learn more about this alignment in your 13 Sign Birth Chart and take a 13 Sign Astrology Class with me, fill out the contact form below. Posted on January 1, 2018 by RawGoddessInc. This is a Gemini Super Full Moon! Not really all that emotional. It’s more like intellectual and restless. This area of the sky is completely one sign off in western astrology! That means mostly all of you Gemini’s are really sun in Taurus and just about all Cancers are really sun in Gemini’s! This is just one example of how The 13 sign zodiac is a more accurate astrology similar to the more ancient and sidereal based Vedic astrology. Gemini, the twins are actually symbols of both sides of the mind, represented by Mercury, the messenger. Mercury has wings and can fly between the conscious world and the unconscious realm with ease. The outer world and the inner truth. He is the guide for the souls to the Underworld. Mercury is mutable and changeable like the weather. Mercury gives you wings. Mercury is also holding the caduceus, the snake with wings. The medical symbol of healing and transformation. The reptilian brain. We use our minds to heal and regenerate our bodies through meditation and prayer. Our mind state determines our health. Gemini reminds us to stay flexible and open, to diversify our skills and communication abilities. And right now, it’s a lot easier to hear from the little voice inside. It’s also easier to contact our friends and family on the other side. Ask for help from your Angels. This is a time to have intense dialog with yourself and your spirit guides. They will answer you back. Strengthen your relationship with your own inner voice, faith and Ancestors. Make the connection with those that are gone but not forgotten. Mercury will assist you. Pour libations and speak the names of your loved ones. They are still traveling with us on this journey, they’ve come to bring us messages. Ask them if you need help right now. Make the connection. Write your visions down. They may send it to you thru meditation, prayer and a dream! Gemini is the electric nervous system. Your mind should be wide open and totally stimulated for these next few days! Gemini helps us regain and sharpen our perspectives. The Super Full Moon is urging us to unlock this potential! Your mind should be turning faster now. You should be getting great ideas and opportunities coming your way. This is a very fortunate area of the sky! Near Sirius the Dog Star! Follow the trail. You should be learning and gaining new perspectives. It’s a great time to be social and at least reach out to people, especially old contacts and long lost friends! There’s alot of inner dialog today and light-hearted restless energy. Deep breathing exercises are perfect for the occasion. Along with Mercury, working with the energies of Eshu Elegba, Anubis, and Medusa will prove beneficial at this time. Also, we are still currently in the shadow of Mercury Retrograde! Use this Super Full Moon as a way to have a deeper communication with your ancestors through words, spells, chants, and libation ceremonies. This full moon calls for a balance of the divine Masculine and Feminine. The Right and Left Brain. Dark Matter and Shadows. The Underworld. Fertile Soil. Black was a symbol of fertility and rebirth to the ancient Egyptians. This Super full moon will be very therapeutic in facing our fears and mental blockages. Working with black stones for the next few weeks will be extremely beneficial! My favorites are Black Tourmaline, Onyx, Black Obsidian, and Snowflake Obsidian. Use them in meditation and next to you while you sleep. This super full moon doorway will be open for 2 weeks, till the new moon. Thanks for reading and sharing my articles! If you would like to learn more about this alignment in your 13 Sign Birth Chart and take a 13 Sign Astrology Class with me, fill out the contact form below. Posted on September 19, 2017 by RawGoddessInc. For the Virgo New Moon, choose to be calm and productive today. This is a time to thoroughly heal and reorganize ourselves. We are coming up out of the end of a very important Mercury Retrograde shadow. Many changes have already begun since the recent Eclipse Season, and we are closing out the year with Earth changes and time moving very swiftly! This New Moon in Virgo will be perfect for cleaning up and clearing out! It is best to keep order and balance of mind and spirit, to meet the necessary changes with grace and divine protection. In 13 sign astrology, we know that Virgo is the longest constellation! Virgo Season has just begun. This detail oriented super intricate sign represents the digestive system and all its sensitivity. The colon is the longest part of the body and is a group of nerves with its own intelligence! Hence the phrase, Gut Feelings! Virgo is an earth sign. The mental earth sign. The purity of the Mind and its intentions. Heaven and Earth are One. It was revealed to me in more ways than one, that Virgo represents Ma’at the Earth Matrix Mother. The virtue of the Goddess and her principals. Ma’at is here to remind us of Universal Truth. Everything is connected and works together to create the whole. Ma’at is the Goddess of Universal Order and Virtue. Virgo is the sign of organization, purity and virtue. The earth is a living breathing organism and we are All part of it. Ma’at keeps everything moving, balanced in the sky and on Earth! The equinox is the balance of seasons in relation to Heaven and Earth. Mind and Body. It is important to remember your mind and body as One with the Earth. All things are connected and we are living this more and more each day! Ma’at is also known as the Double Winged Goddess. That which is within me and that which is around me. Ma’at is the union of opposites that create harmony. Laws of the Universe. Laws of Oneness. Ma’at is a Goddess, a concept, and a principle. The Double Winged Goddess of Right and Truth. This will be a powerful New Moon new start, especially after that strong Mercury Retrograde and Eclipse Season! And we are just coming out of the Retrograde Shadow for this New Moon! So give yourself ease, grace, patience and make sure to keep yourself healthy. Virgo represents the woman, the mind, and the Matrix Mother Earth. Where all things are connected. All actions carry seeds of their own justice. Now is the best time for a Fall Equinox detox! *The New Moon in Virgo cycle will be in effect for 2 weeks til the Full Moon. If you would like to learn more about this alignment in your 13 Sign Birth Chart and take a 13 Sign Astrology Class with me, fill out the contact form below.